Hope that you all had a lovely festive season – we did despite colds and flu for all of us at some point over the time but we all had a lovely time if very hectic. Everyone has gone now (there were 8 people and a very cute dog in the house for all of Xmas with 13 on Boxing Day so it was very busy and lively) – since then I have mainly being lying on the sofa knitting and stitching – ahh bliss! 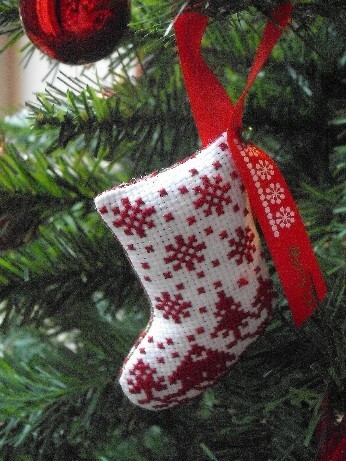 I had lots of very lovely pressies – lots of books and lots of DVDs to watch while I stitch and knit. I will start with pics of the festivities – my sister and her kids Sam and Sarah joined us this year as well as my Mum and Nana as it was Sam’s 18th birthday on Christmas Eve so we had a festive bar-b-que at my brother’s house (he likes fires!). 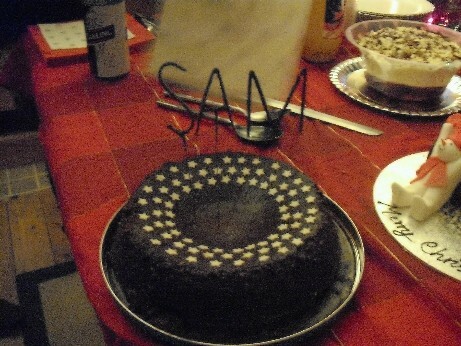 I did not get a good pic of Sam blowing out his sparkler candles but here is a slightly fuzzy one of the cake I made him – the sparklers spelled out his name. 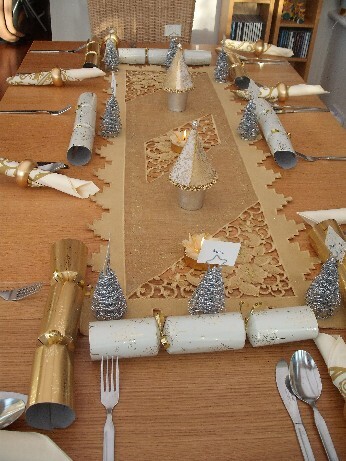 I spent a lot of time cooking and tried out some of my new recipes and had a great time – here is the Xmas dinner table with my new table decs, as well as the little fabric trees that I made I had bought some silver tree name place holders and a new gold table runner from Spain so was very pleased with the way that it all looked. My lovely sister-in-law Amanda , who is also a big JBW Designs fan, stitched me a card for Xmas and guess what she chose? 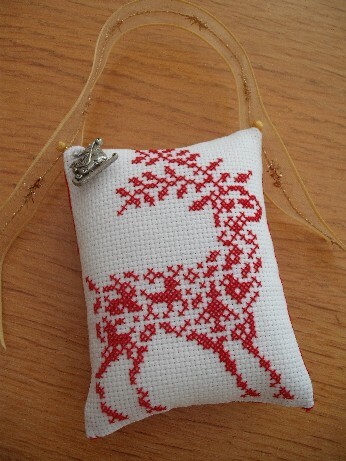 The reindeer that I have just made two of for my aunt and cousin – I have made him into an ornie so he can hang on the tree again next year as well. 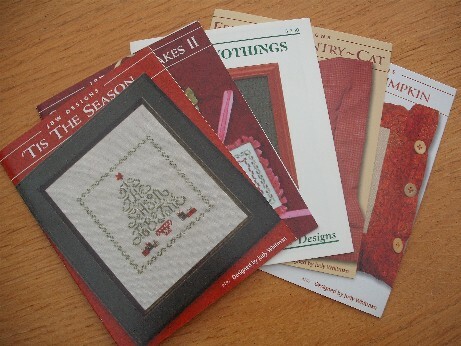 She has also lent me some of her JBW patterns so that I can make more ornies – think I will start on the top tree next. 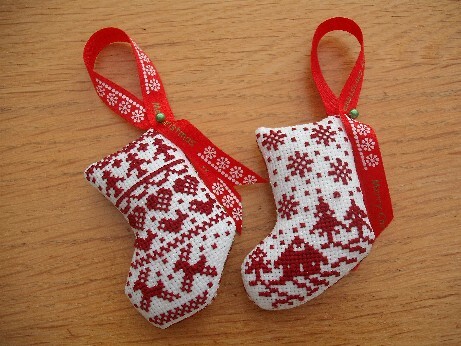 I have already started on my next lot of ornies – I completed one before Xmas and one just after – these are from the new JBW Designs stocking sets that I treated myself to just before Xmas. 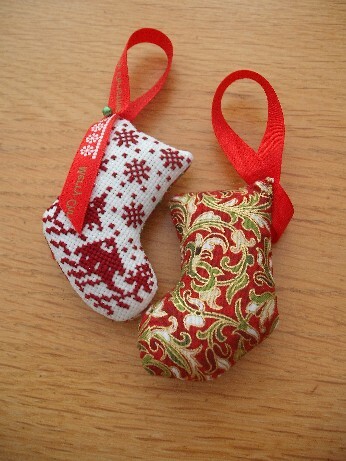 One is for my Mum but is hanging on my tree at the moment for safe keeping! It looks even better on the tree! 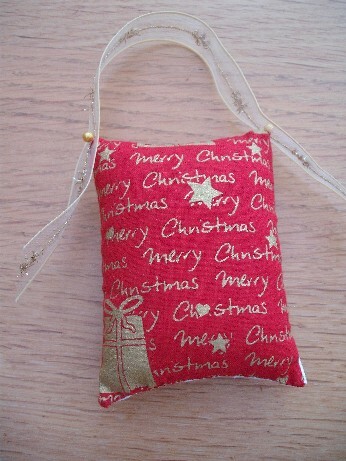 I am really enjoying these as they are so cute and quick to stitch. They are only about 2″ high. Have cast on for the last little bit of gift knitting – a purple hat in Sublime which needs to be finished by the end of next week along with the matching wristwarmers. Good job I am not doing anything much for the next few days! I will probably be having a very quiet New Year – the kids are out but I am still full of cold so am planning a night in with the telly and my crafting! Hope that you have a lovely time whatever you do and wishing you all a very happy 2011! Love the ornies! I hope your cold gets better soon and that you have a very happy crafty New Year. Must dash, I’m scrubbing out my kitchen cupboards! Love the red work ornies Alison. BEAUTIFUL RED WORK! my goodness! thanks for commenting on my blog… now I know where to find you! Where do you live? your comment was a no reply and I couldn’t directly respond… happy new year! Sorry my comment was no reply – don’t know why that happened. Happy New Year to you too. Hope you are having a nice crafty time – I am just cutting out for a baby quilt for charity that our quilt guild are supporting so will post pics when I am further along. Nothing like your lovely stuff – is a very simple one but we all have to start somewhere!